We want your feedback! 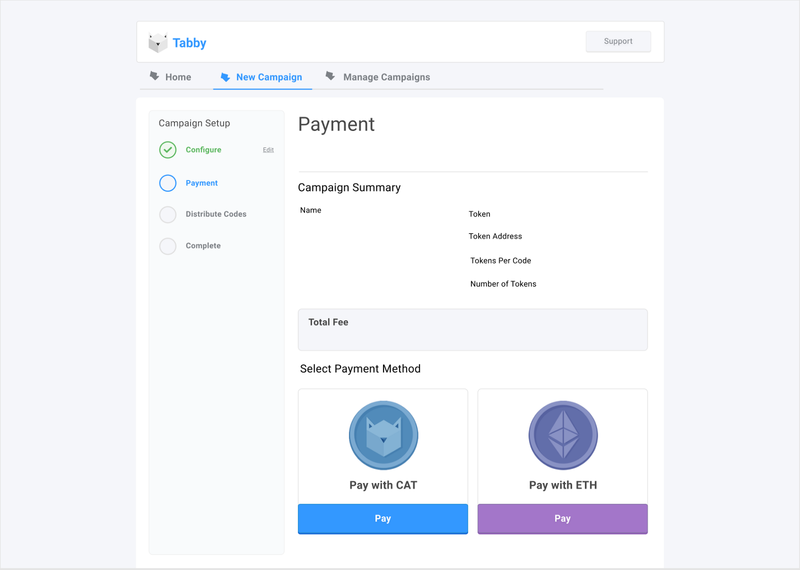 Before we get to that, let’s recap the main features of Tabby Rewards. 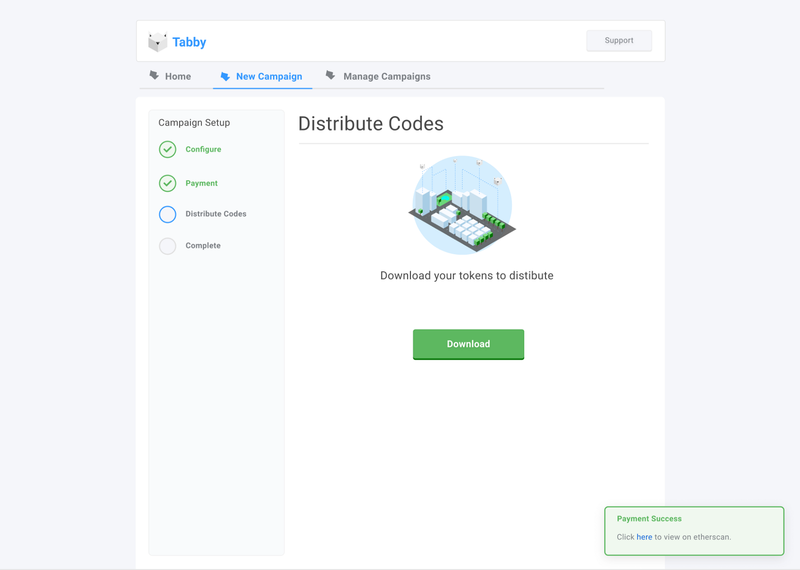 Tabby Rewards allows teams to distribute tokens quickly and easily via unique, redeemable URL codes — without requiring a list of wallet addresses beforehand. Our goal is to provide teams with a simple and easy-to-use tool to promote their project and incentivize users. 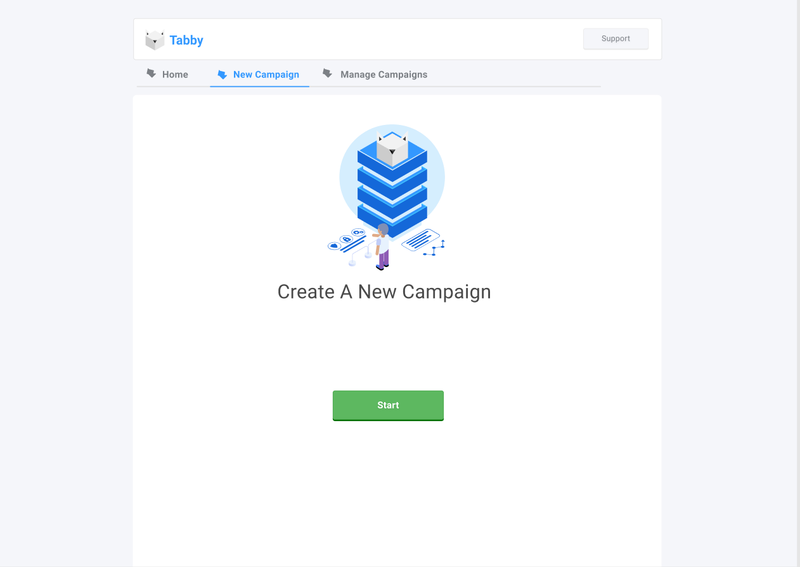 By using a service like MailChimp, you can easily reward new email signups with a URL link that takes them to a page to redeem tokens. You can provide partners with a list of unique URL address that they can then distribute to their own audiences. Popular influencers can link your tokens directly to their fans with promotional partnerships. 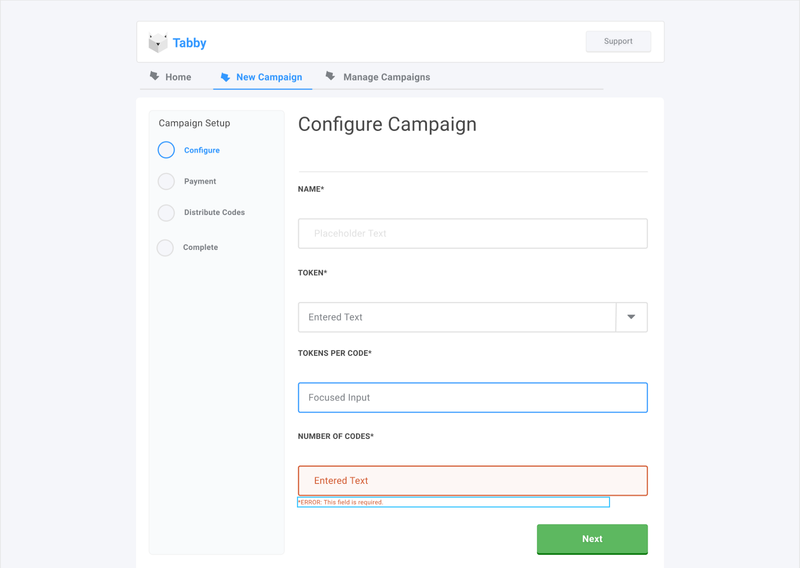 Tabby Rewards gives users the ability to Create or Manage Existing Campaigns. The primary focus was designing a straightforward User Interface that was simple to navigate even for beginners. Take a look at the following slides and if you have any suggestions for improvement reach out to our team through our official Discord channel. There are only four fields required when creating a new campaign. 3. How many tokens will each URL code redeem? 4. How many redeemable URL codes do you wish to create? Users are given the option to pay in ETH or CAT. If a user chooses to pay in CAT they will be given a discounted rate similar to Tabby Pay. Finally, once payment is complete, the URL codes are generated and the user is able to download and distribute them.